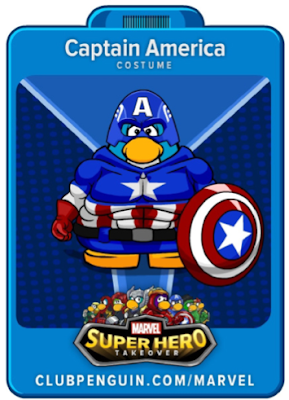 Club Penguin Cheats by Mimo777 Club Penguin Cheats by Mimo777: Club Penguin Super Hero Party in USA Today! Dood! Club Penguin's Marvel Super Hero Takeover has made news... big time! 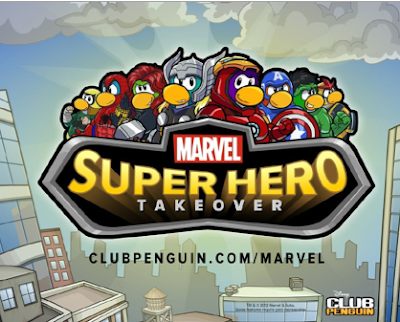 USA Today has done a whole article on The Avengers and Marvel coming to Club Penguin! The story says we will "take sides and accomplish missions." Saweet! Let me know what you think about Club Penguin making the news, k? Hands?! Club penguin penguins DON'T HAVE HANDS. Penguins have flippers!! (the Hulk is ok though, it normally is like that) I don't mind the news, and the party, but really. HANDS DON'T NEED TO BE PUT ON PENGUINS. Hey that's great Mimo! Can't wait for the party. I like Iron Man. 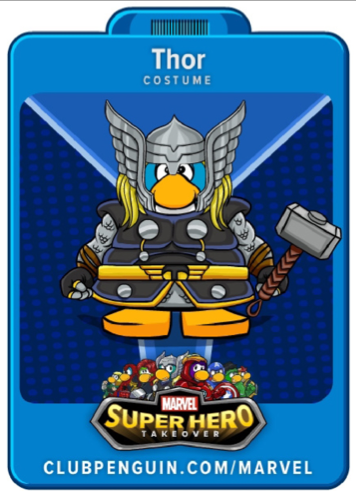 I'm going to be Thor at the party, who are you going to be Mimo? I was thinking the same about hands too! 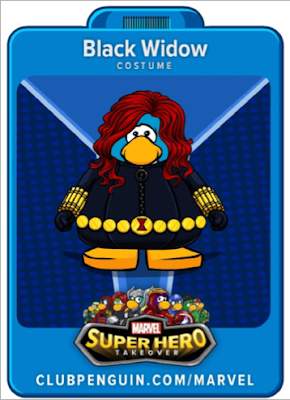 I find it weird, that Black Widow's hair makes her cheeks look fat! I am seriously laughing that I said that! Oh By The Way, the party was late, I don't live in the U.S so I have a different time then you Mimo, I was there on the 14th and everyone was like " Where is the party!?" Serious, for real! 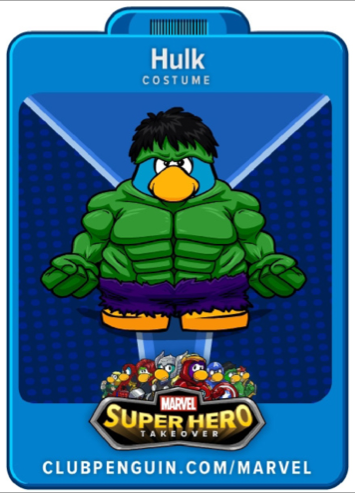 Hey mimo,i made an awsome costume for you to put on ur website.i would send u a pic but idk how so imma tell u how to make it then u can ware it and take a pic for the blog. You put on thors helmit,turn green,put on the eyepatch,put on cap america uniform,but on black shoes,and hawkeyes bow and arrows! its THE ULTIMATE AVENGER!! there was no room for anything of ironmans unless you want the costume to look dumb and theres no black widow either but trust me! when you make the outfit,ittl look SUPER AWSOME!